A lush, full, healthy green lawn boosts your property’s curb appeal, and it’s also good for the environment. Repairing and maintaining your lawn is easy with the right know-how and, of course, a little help from the professionals at Mirage Landscaping, a leading Calgary southeast landscaping company. Applying fertilizer and regularly watering your lawn are two of the best things you can do to help your grass. Fertilizer improves your lawn’s natural resistance to pests and weeds while strengthening its roots. As a result, the roots are more readily able to absorb water and nutrients. Fertilizer contains critical elements, but it needs to be applied judiciously. If you use too much, you risk what landscapers call “fertilizer burn,” which is detrimental rather than beneficial. Grass also needs to be watered regularly to maintain a healthy appearance. Lawns get most of the water they need from rain, but during Alberta’s hot and dry summers, droughts can strike. During these times, you’ll need to manually water your lawn to keep it looking good. Irrigation systems are a great alternative to conventional approaches to lawn watering. Underground irrigation systems feed water into a network of strategically placed sprinklers. They’re very convenient, as they completely automate the watering process, and they also reduce water waste. Micro-drip irrigation systems are ideal for those who want to conserve as much water as possible while still enjoying the benefits of a well-cared-for garden. “Yellow spots” are a common problem, especially in Calgary, when often-dry winters leave dormant grass exposed and vulnerable. The folks at Mirage Landscaping company know that the right solution depends on the underlying cause. If your entire lawn is turning yellow, chances are it’s because the grass isn’t getting enough water, or because you’re cutting it too short. As a general rule of thumb, it’s best to raise your mower blades bit by bit as summer goes on to help your lawn stay looking its best throughout the season. Are your neighbours suffering from the same problem? If so, a pest or fungus might be responsible. Either way, if you’re not able to solve your problem by watering your lawn more, raising your mower blades, or adding nutrients to the soil, the Calgary lawn care experts at Mirage Landscaping are happy to help. If you’ve recently laid new sod or new seed to remedy a problem with your lawn, it’s important that you use the right care techniques to get the best possible results. Remember: new seed needs consistent exposure to moisture to grow. It’s best to lightly water newly laid seed several times per day until it starts to germinate. The germination process usually begins one to three weeks after planting. Once new grass begins to sprout, you can let your lawn dry out a bit. When the growing blades reach a height of two inches, reduce the frequency of watering to once every two to three days. Watering new sod requires a similar approach, since it needs consistent moisture for roots to grow. However, try to avoid watering your newly laid sod at night, especially if it’s humid outside. If the sod stays wet for too long, it could develop diseases that will endanger its continued health and growth. 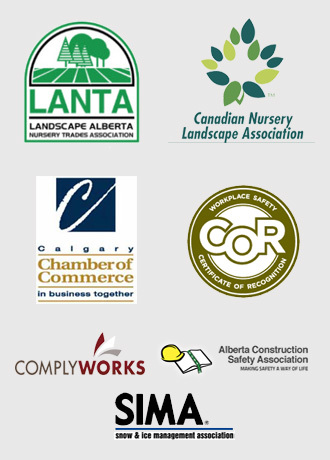 Get the Best Calgary Landscaping Company Working for You! Specializing in providing services to Calgary’s southeast, our family-owned company has been a leading name in Calgary landscaping for three generations. At Mirage Landscaping, we take great pride in our work, and we are pleased to offer residential and commercial customers the services they need to keep their properties looking great at prices that won’t break the bank. 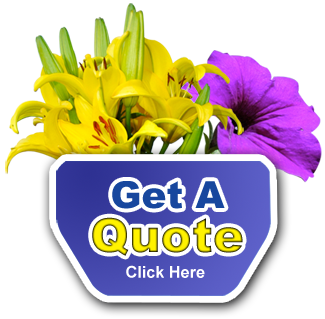 To get started, visit Mirage Landscaping for a fast, free service quote.